Putting a deck on your home is an excellent way to give yourself more entertaining space. But if you really want to make your deck stand out, you should have a unique deck railing installed on it. A deck rails installer from Brad F. Beller Construction can assist you with your new deck railing installation and help you pick out the best railing from a wide selection of deck railing systems. It’s important to pick a porch railing that fits the look and feel of your overall home and that also fits within your budget. We have experience installing all kinds of deck railing designs and know that we can find porch railings that will work well for you. 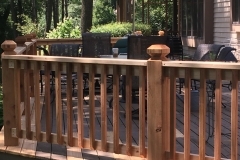 At Brad F. Beller Construction, we have been helping those in Algonquin, Lake in the Hills, Crystal Lake, Lakewood, Huntley, Barrington, Woodstock and other communities in McHenry County, Illinois with their deck railing needs since 1978. As one of the leading locally owned and operated general contractors, Brad F. Beller Construction is dedicated to providing you with both quality service and fine craftsmanship. We can send a rails installer to your home to show you different deck railing designs and then complete your porch railing installation once you have decided what you want. We will also make sure you are 100 percent happy with the porch railings you picked out once they are installed. There are so many deck railing systems out there that it can be confusing for homeowners to pick out just one during the porch railing installation process. 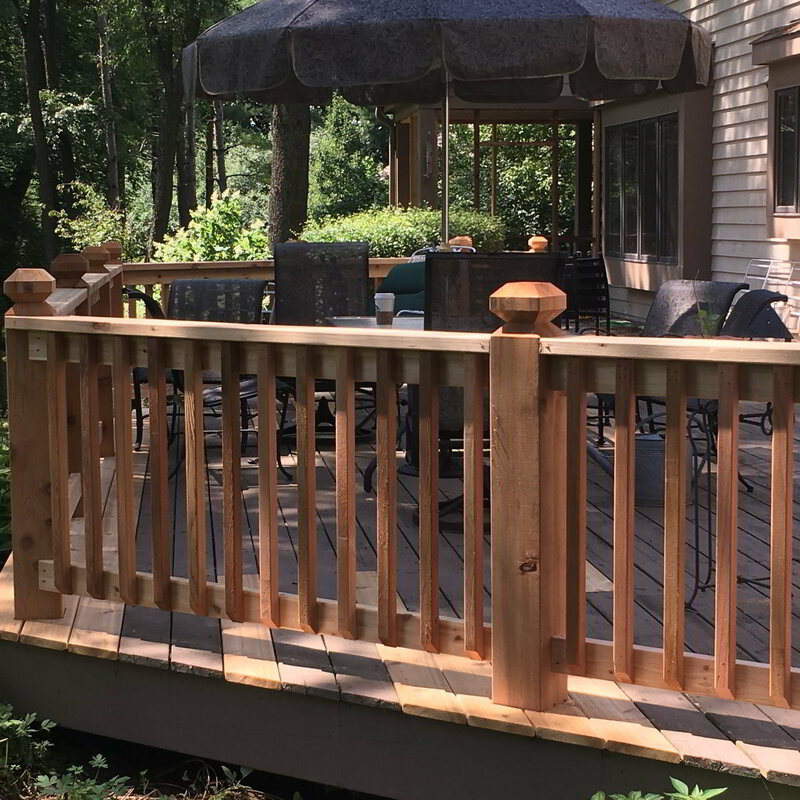 Brad F. Beller Construction aims to make the entire process more seamless by working alongside those who want a new deck or porch railing to ensure the right fit, the right look and the right price. 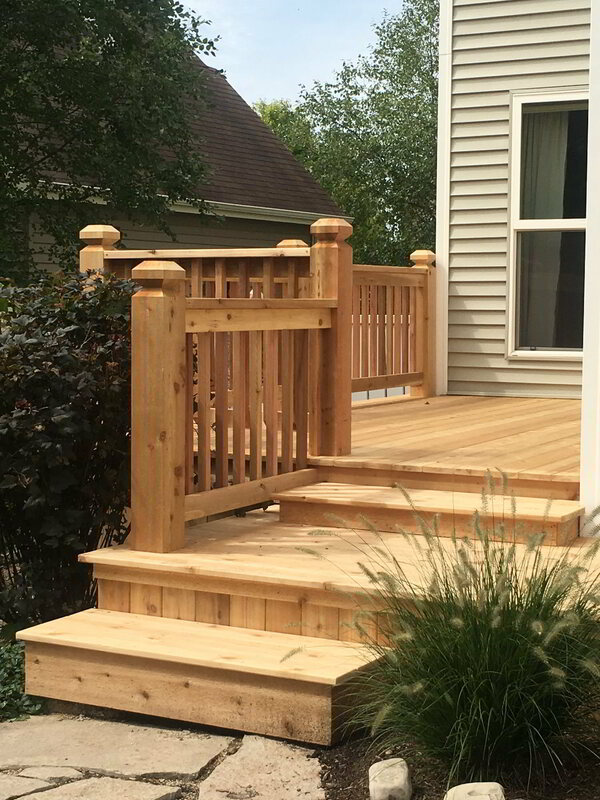 We will also provide quality deck railing installation services and stand behind the work we do. 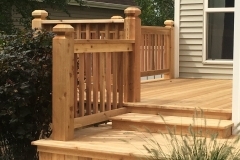 Those living in McHenry County have trusted us with their deck railing designs for years now, and we know customers will continue to come to us when they need a railing installer. If you are thinking about having new deck or porch railings put up, you should reach out to Brad F. Beller Construction to hear how we can help you. Call us at 815-455-8051 today to hear about all of our deck railing systems.